Losing information stored on memory cards is extremely common. If you want to recover your photos from SD card, you should make sure that your SD card still can be recognized by the computer. If your memory card can not be detected by the computer and does not show up in Disk management, you should try to make it detected. Not every time the memory card cannot be recognized are dead. You can try the memory card in different devices, card readers, different USB ports and computers. If you have tried all of these but does not work, your memory card may be dead. If it is dead, there is not much to be done to recover the files from there. You need to replace with a new one. If the data are very important to you, you can ask the professionals for help though it does not necessarily succeed at the end. If you lost files on SD card for accident deletion, formatting, virus infection, and your memory card still can be detected, you have great chance to recover your files back. But the premise you can recover with data recovery software is that there is no data overwritten on the SD card after data loss. If your memory card has a virus attack, you need to scan it with an antivirus software first, and then use the data recovery software to recover the deleted files. The original data are still there, sitting safely in a valid partition – only they weren’t available to be accessed. As long as you don’t record anything new onto the SD card, the data should be relatively easy to recover using file recovery software. If you’ve accidentally formatted or deleted your SD card, here what you need to do to recover your files. Don’t do anything to your memory card once you realize personal files have been deleted. Do not take new pictures or videos. New files will take any space available on your SD card, and may overwrite the old deleted files. If the files are overwritten, they cannot be recovered. Step 1: Prepare the tools needed. You’ll need a card reader, a computer, and some patience. Select a piece of reliable and powerful data recovery software. 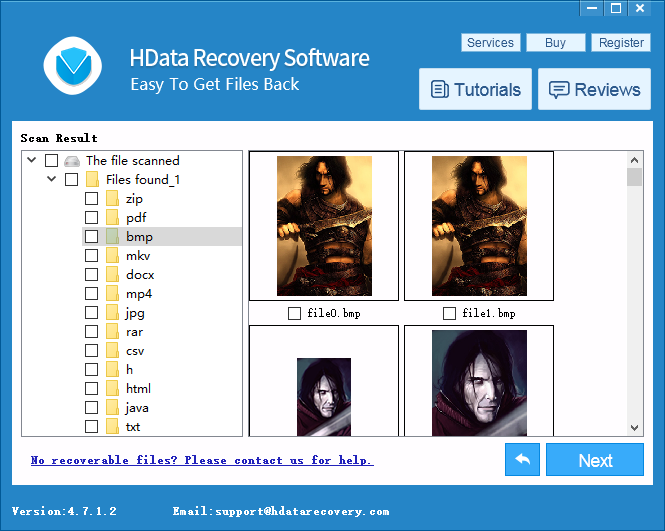 We recommend H Data Recovery Software. This fully featured recovery software can easily and safely recover deleted photos from computers, camera SD cards, and many other storage devices. Step 2: Install and launch H Data Recovery Software. Plug your card reader into your computer. Select the Flash Memory Recovery module by clicking it. H Data will detect all the flash memory cards currently connected to this computer. Step 3: Choose your SD card and click Next. 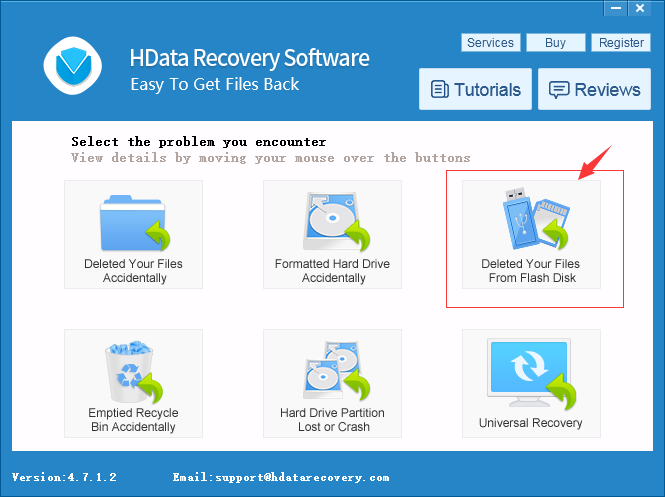 H Data Recovery will scan the SD card file structure and try to find and reconstitute the deleted files. When the scan is complete, you will be able to see the list of all recoverable files. If you act quick enough after the format, the chance of a complete recovery is very high. Look for your lost photos in respective folders such as the DCIM folder. Step 4: Select all the files you want to restore, and click the “Next” button. Choose a place you want to restore the files to. It’s best not to save them back to the memory card to avoid overwriting.